nature of insider IT misuse. 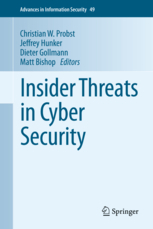 of aiding researchers and IT system experts mitigate the problem of insider IT misuse. domain specific language to address threats. towards this direction are suggested.